Dry Laid Stone Walls Fit the Landscape and Last Forever. OF the land, not ON the land. Everywhere we go in the world, everywhere there is stone, that is, there is a distinctive indigenous style of dry laid stonework. This is determined, of course, by characteristics and appearance of the local stone, but it also seems to be an expression of the local character. Dryhouse Restoration of Belleville, PA are masters of that art and trade as practiced in central Pennsylvania. To quote the folks at Drystack, “Drystack walls are not ON the land, they are OF the land.”, their emphasis. 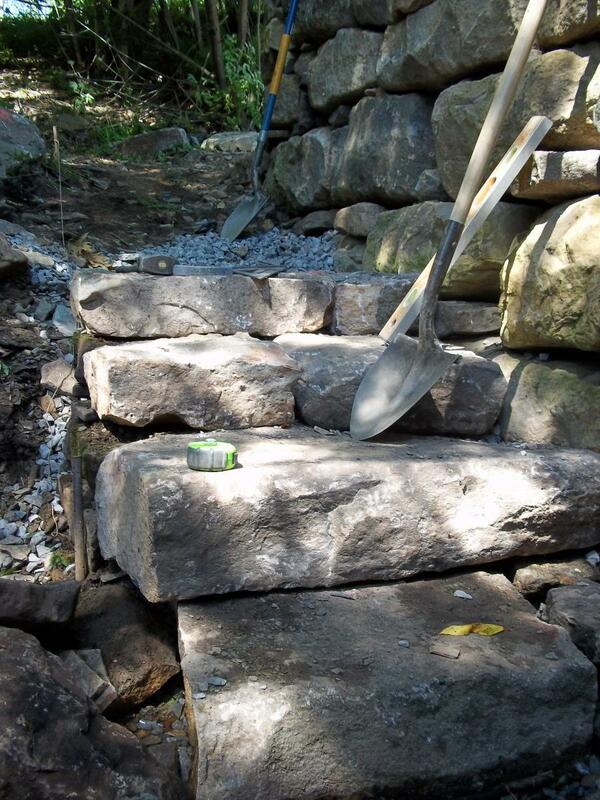 Do check out the picture of the outdoor staircase and retaining wall. Although completely utilitarian, it looks like it was placed there by nature, for our convenience, growing out of the land. Lay off the bulldozer, says Drystack. Beautiful work. 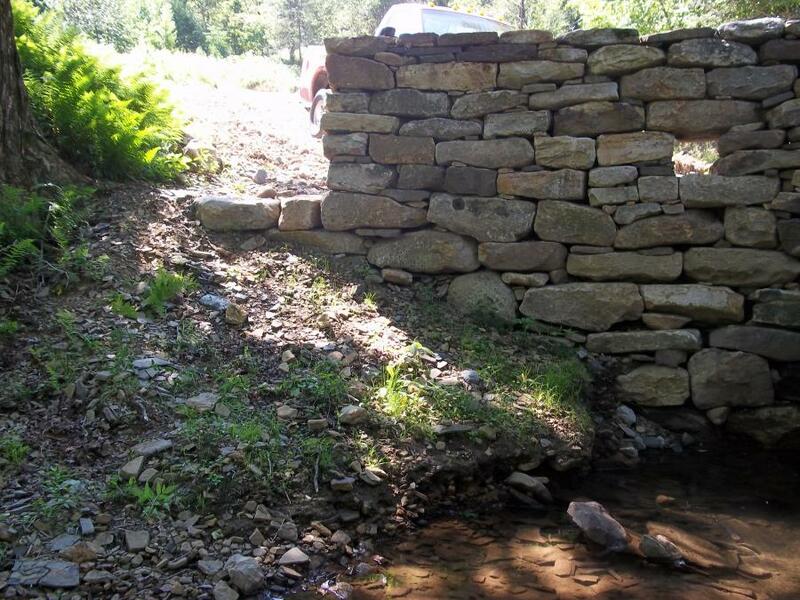 More specifically, their technical point was that when it comes to retaining walls of any sort, drystack stone is better suited and more durable than mortar laid work. Even more specifically, they note its suitability for building walls that line wells, ponds and springs, and are fully immersed in water. Check out the image of the spring with the crossbeam. Poetry in stone. List of Stone Wall Masons. Wet stone goes best with dry stacked stone. A master example of native stone work, central Pennsylvania. 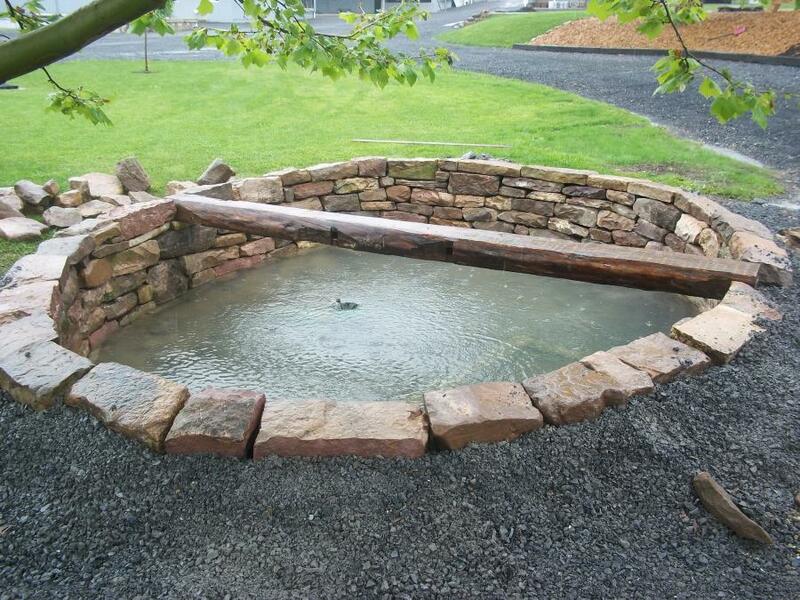 This entry was posted in Stonework and tagged Landscaping, Pennsylvania. Bookmark the permalink.